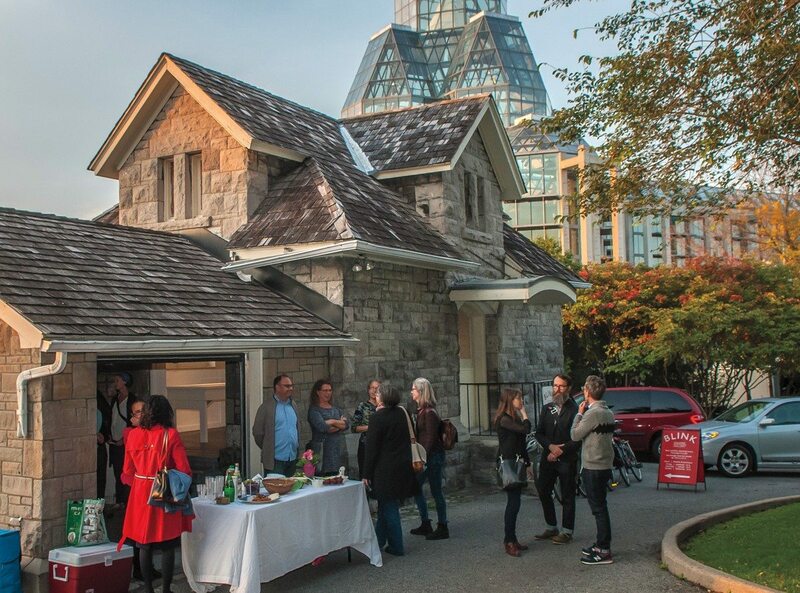 In the shadow of the National Gallery of Canada — at the edge of Major’s Hill Park, the city’s first park — sits a small stone building. Built in 1901 under the supervision of architect David Ewart of the Department of Public Works, Header House was used for potting plants in a greenhouse complex that was dismantled in 1937. Now it is home to an art gallery that pushes boundaries and continues to serve as a fertile meeting place for creative energy. 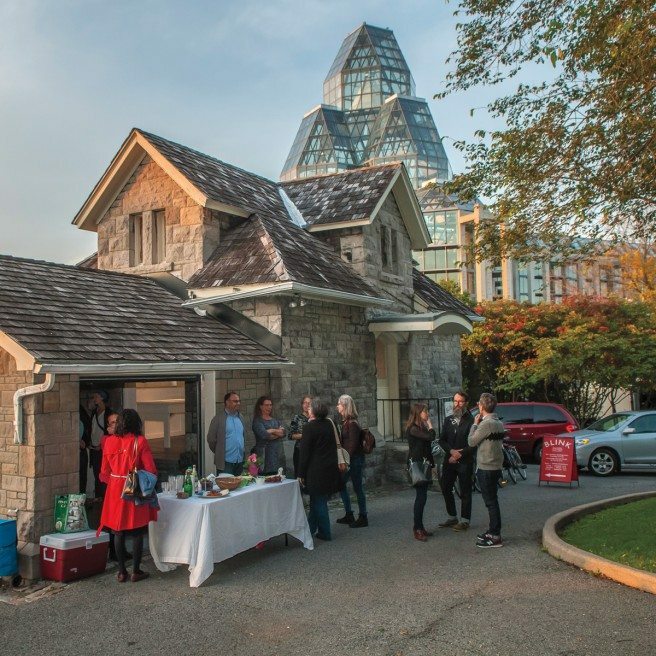 Operated as a non-profit collective for the past 10 years, Blink Gallery has a unique agreement with the National Capital Commission. The artists of Blink take animating that space, which would otherwise be empty, very seriously. “What attracts artists to Blink is the idea of collaborating, of creating something that is bigger than themselves,” says Kraenzle, adding that Blink’s focus on experimental art allows for exhibitions that might be difficult to pull off at galleries that require detailed plans a year in advance. 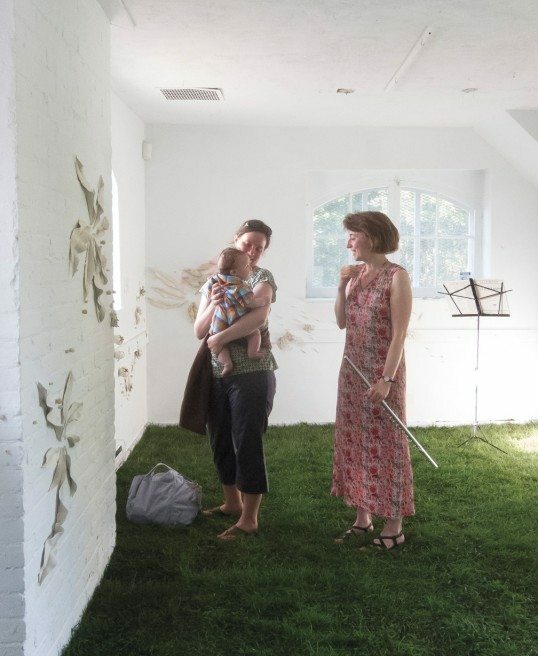 In addition, the expansive green space of Major’s Hill Park allows for further exploration, such as performance art and music. As curious assemblages of metal and textile trickle out onto the manicured grass, tourists often stumble upon the space, as do locals who walk past the building on their way to work. Blink Gallery celebrates its 10th anniversary this year featuring the works of some 40 past presenting artists. In the following months — until cold weather forces the space to close in October — a series of residences will showcase the artistic depth and range that make Blink such a treasure.